The following editorial was originally published in the Saskatchewan Association of Rural Municipalities‘ publication the Rural Councillor and is being reposted with permission. SaskPower’s plan to add 1,900 MW of wind energy to the province’s power grid by 2030 promises more than long-term opportunity for the wind energy industry. It will also bring significant economic and environmental benefits to the province and its residents. That is why it is critical that we all work together to get it right. The competition for the first 200 MW of wind is underway right now. SaskPower received 23 submissions in the request for qualifications stage, and has invited eight companies to submit proposals by next May’s deadline. 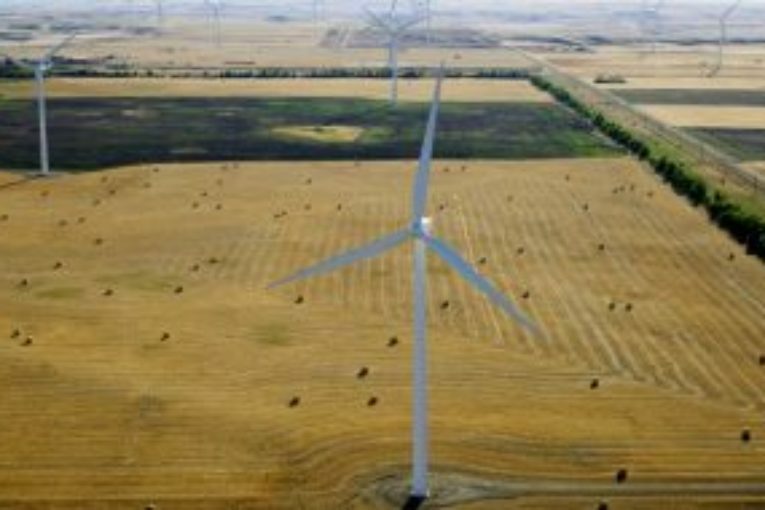 It’s on the ground, in partnership with SaskPower and in collaboration with the residents of Saskatchewan’s rural municipalities, that these projects will move forward and Saskatchewan’s goal of having wind energy make up 30 per cent of the province’s generating capacity will be met. If you ask any wind energy developer, they’ll tell you that the most successful projects are those in communities that embrace them. Plenty of communities do, for a lot of very good reasons. For farmers, wind energy represents a new cash crop, providing a steady source of land lease income they can count on when commodity prices fall or bad weather interrupts the harvest. For municipal governments, wind farms are a source of new tax revenue they can use to fund community-based projects and services. And for residents, wind energy projects provide new work for local trades people and contractors, new customers for local businesses, and new skilled local jobs in operations and maintenance. Beyond wind’s local economic benefits is the opportunity for rural Saskatchewan to play a critical role in building the province’s clean energy future. Saskatchewan farmers and rural governments have always been stewards of the province’s natural resources, because they know that protecting the long-term health of the land, water and air not only assures their economic future, but also sustains the rural landscape for generations to come. Wind turbines generate electricity without polluting the air, emitting greenhouse gases, or producing waste of any kind. In fact, SaskPower estimates that its goal of having renewable energy make up 50 per cent of the province’s generating capacity by 2030 will help cut electricity sector carbon dioxide emissions 40 per cent below 2005 levels. The American Wind Energy Association notes that the average wind farm leaves 95-98 per cent of land undisturbed, allowing farmers to continue to harvest their crops and graze their cattle as they have always done. The production of wind energy also conserves water resources that would otherwise be used to cool thermal power plants, something that is important in years when the province is hit by drought. However, these benefits will require long-term support for local wind farms by municipalities and their residents. To gain that acceptance, our industry is committed to serving as responsible stewards working side-by-side with residents and communities. Wind energy developers are committed to establishing meaningful relationships with local stakeholders based on trust, transparency and collaboration. The Canadian Wind Energy Association (CanWEA) and its members recognize the right of citizens to have a say in developments that affect their community. We know they have the right to ask questions, be skeptical, and be concerned. We also know that, most importantly, they have the right to be heard. To us, meaningful engagement means involving the community at an early stage in the planning process so that clear intentions are communicated, a dialogue is opened, and feedback is incorporated. It means taking steps to learn about the unique characteristics of a community and responding to its unique needs. It’s hard work, and there are no short cuts, but it works. Canada’s wind energy sector has become a leader in developing innovative partnerships with rural governments and Indigenous communities. That is reflected in the fact that out of the 21 new wind energy projects that came on line in Canada last year, Indigenous groups, municipalities or local farmers had ownership stakes in 16. The work wind energy companies are doing in host communities is informed by CanWEA’s Best Practices Guide for Community Engagement and Public Consultation, which we created in 2010 with input from industry, municipal leaders, and communications experts. The guide is also a valuable resource for local decision makers, letting them know what they should expect when wind project developers come to town. We’re in the process of updating it now, and will have a new version out this fall that we’re eager to share with interested municipalities. For a province that currently gets three-quarters of its electricity from coal and natural gas plants, Saskatchewan’s wind energy plans will bring big changes. The province is looking at a 10-fold increase in its wind generating fleet in just 13 years. We know that kind of rapid growth is achievable. A 2016 technical study prepared by GE Energy Consulting with the input of SaskPower and other grid operators in Canada, and co-funded by Natural Resources Canada (NRCan) and CanWEA, found Saskatchewan’s electricity system could handle twice as much wind energy as it is targeting without compromising grid reliability. And because wind energy is one of Saskatchewan’s lowest-cost options for new electricity supply, the current and future expansion of wind power makes financial sense. It all adds up to many more wind farms in many more Saskatchewan communities. Our goal is always to deliver the best possible projects at the best possible price, and by working collaboratively with residents, communities, landowners, local decision makers, government ministries, and SaskPower, we are confident we can get the job done in a way that benefits everyone.